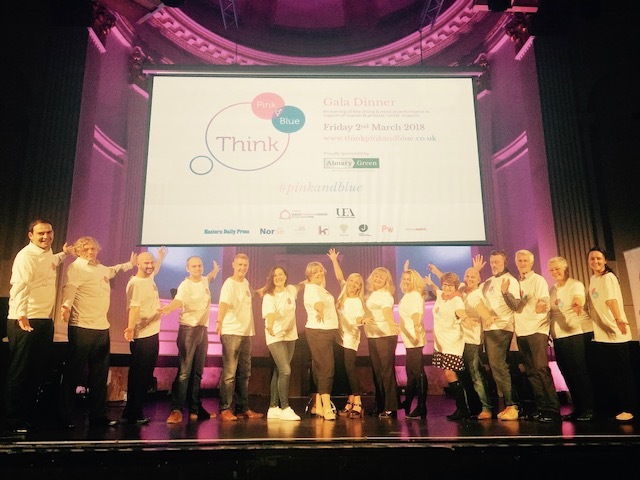 Jungle PR has been given the honour to promote an amazing black tie Gala Dinner event and promote its amazing causes for raising money into research for Ovarian and Prostrate Cancers. #PinkandBlue is something you will be hearing more about! Sarah Softley and Ruth Thurston have a fantastic committee of friends and colleagues to get the black tie evening event underway on 2nd March 2018 – 7pm at Open in Norwich. We had the launch of the event with the EDP on 9th October 2017 and the tickets are officially on sale! To buy your Gala dinner ticket email: bookings@softleyevents.co.uk.